People often ask about the distinction between being blind and being “legally blind.” Because “blindness” can mean several different things, legally blind is the threshold at which someone is considered visually impaired for legal purposes such as for insurance purposes, receiving certain benefits, or being accepted into various programs. Blind people are “legally blind,” but some people who can see with strong prescription eyewear say that they are legally blind without their eyewear. This means that, without eyewear, they would not be able to see well enough to see certain things, drive, and so on. Visual acuity less than 20/200 is considered legally blind, but to actually fit the definition, the person must not be able to attain 20/200 vision even with prescription eyewear. Many people who would be legally blind without eyewear can function well in everyday life with appropriate glasses or contact lenses. The reason that some people use this term is because there are so many different kinds of “blindness.” People wrongly believe that all blind people just see darkness, or literally nothing at all. In fact, blindness can include seeing some colors or light, or having greater visual acuity in some parts of their field of vision while others are blurry or absent. DId you know: the largest letter on the chart (an E on most Snellen charts) corresponds to 20/200 vision. If someone cannot distinguish that letter with their prescribed eyewear, they are considered legally blind. Visual acuity of 20/20 is considered “perfect vision” because no aids are required to see better, and the average person with good eyesight can see clearly what doctors have determined is 20/20 vision. Some people (especially young people with good eyes) are able to see letters smaller than the general “20/20” size. If you have any questions about your own visual acuity, or if it has been a while since you’ve seen an eye doctor to determine your vision ability, get in touch. 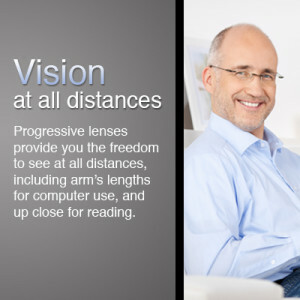 We’re happy to assess your vision with a number of painless tests and discuss any concerns you may have. You can speak to the doctor about how well you’re seeing now, and what options are available to help you get your best possible vision! "This is one the most friendliest, Most professional eye doctors around. Their offices are state of the art and what a great staff, I always feel welcomed when I need something." - Joseph G.